First I want to start with some thoughts on the Go Plus and also speculate a bit on the upcoming mysterious new Pokemon Go device that is supposedly under development. 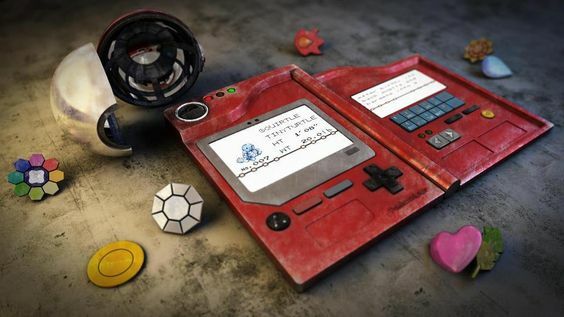 There are some rumors that Gen 2 Pokemon are being delayed as the company is waiting for this new device to come out. This would allow them to avoid bad press from players doing dumb things while playing the game. I really don't put much stock into those rumors. I think the Gen 2 launch is being delayed for one primary reason. The company can't do many more releases of additional pokemon so each one must count. So the timing of the release really matters. I think the real reason they are holding back is to time the release with spring and warm weather. For most people in the world its cold right now and the release would have a muted effect on those places. Anyways on to what this post is about. I really like my Go Plus and have been searching for some fun ways to customize it. One of the really awesome fun ways to do it are with these Pokemon Go Plus stickers. Each of the stickers is the form of a popular Pokemon. If you have multiple Go Plus's in a household this is a cool way to customize them so each player can tell their device apart. The Company that makes these covers is called Pot Life Printing and I do not know much about them. From the site I see they are from Rowland Heights California. It looks like the primary thing they make are these leather Pokemon Go Plus stickers. Here is the description they use for their covers. I personally like that these stickers are made out of leather and not some cheap paper sticker. If you are going to wear on your wrist you want something more substantial that paper. The prices on these leather stickers are also really reasonable around 7 dollars. I would make a cheap gift for the Pokemon Go lover in your family. Toylab is a member of the Amazon Affiliate program and so we are able to link products from Products directly from Amazon on our site. Its awesome! It really makes it easy to show case cool products that we find like these Pokemon Go Plus Skins. If you know anything about me you know that I love Snorlax. Really he is just behind some other favorites of mine like Charmander and Jolteon. This Snorlax cover looks super cool and is made of Leather which I think is really awesome. I love how it looks on the Go Plus. The Snorlax is round naturally so him being round works really perfectly. I will also say that when I go Pokemon Hunting in a new area I also like to go out to eat and hey lets face it eating and Snorlax just go hand in hand. Ok this Gengar one is a little sinister looking but hey its Gengar its supposed to be. I also think it looks really great. Its by the far the edgiest of the Skins I have seen and I think there are a lot of people who will dig that. Of course the Pokemon's mascot of Pikachu is available. I think the roundness of the Plus makes him look a little chunky but thats ok he is still really cute. I think of all the Skins this is the cutest one. It is also the brighest. I think this one will stick out the most because of how bright it is and also because of how recognizable Pikachu is. If you want to tell people you are playing Pokemon then this is a great one to get. If you would rather be more incognito then I'd recommend picking up one of the other ones. The company makes a few other ones but the ones above really stand out to me. I did see a Lapras one that could be really cool. I am STILL HUNTING FOR LAPRAS!!!! Maybe I need to get a Lapras Skin in order to get better Lapras hunting luck. Shop for Pokemon toys and merchandise! want to learn more about Pokemon Go? We have compiled an array of articles and videos on how to beat and catch specific Pokemon as well as other tricks in our Toylab Pokedex. Want to catch them all? Then this is the place for you!